Colonel General Kim Song Dok [Kim Song-to’k] is Vice Commander and a Political Committee member of the Guard Command, the corps-level Korean People’s Army [KPA] unit tasked with protecting Kim Jong Un [Kim Cho’ng-u’n] and members of the DPRK core leadership. Col. Gen. Kim is also a member of the Workers’ Party of Korea [WPK] Central Committee and a deputy to the Supreme People’s Assembly. Kim Song Dok has spent most of his career in the Guard Command and the DPRK’s Praetorian Guard units (the Guard Command, Pyongyang Defense Command and the III Army Corps). He migrated into his current position around 2003 when Guard Command Director Gen. Yun Jong Rin [Yun Cho’ng-rin] assumed the top spot. In his position Kim was also responsible for controlling fuel supplies for the National Defense Commission [NDC], the DPRK’s then-supreme power organization and elements of the KPA. Col. Gen. Kim was promoted to Colonel General in April 2010, in a two-man promotions order which also included his superior Yun Jong Rin. 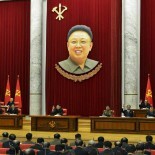 He was elected a member of the WPK Central Committee during the 3rd Party Conference in September 2010. 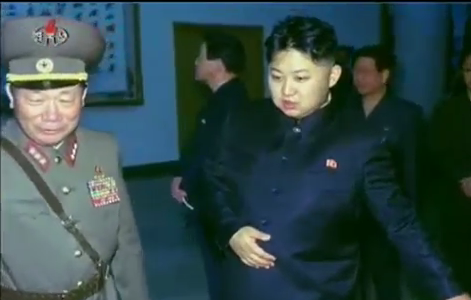 Col. Gen. Kim was a member of Kim Jong Il’s Funeral Committee in December 2011. Kim Song Dok was elected a deputy of Supreme People’s Assembly in March 2014. He was elected to the 7th WPK Central Committee during the 7th Party Congress in May 2017. It is highly probable that Col. Gen. Kim will be the next director of the Guard Command when Gen. Yun retires.